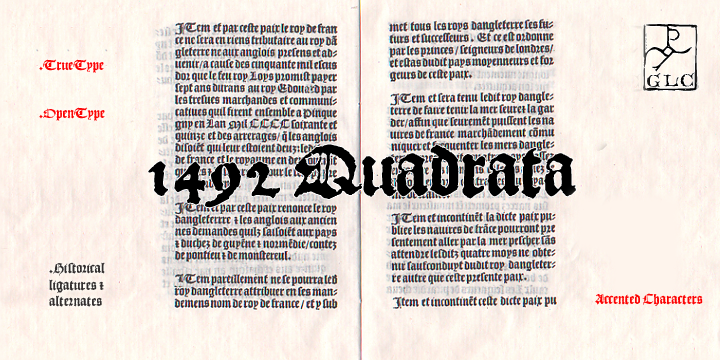 1492 Quadrata Font family was used first designed and used to print the peace treaty which was signed by the French with the English kings in Etaples which is in Normandy. This Font Family has a very historic and classify gothic look which made its selection to the treaty where the writing should be very clear in small and also in large sizes. Price: $12 for personal and $38 for commercial.